Neurofeedback (NFB), also known as EEG Biofeedback, offers an additional treatment option for people with brain related disorders. For instance, neurofeedback can be helpful in the case of eating disorders, addictions, mood disorders, anxiety and attention deficit disorder and many more mental “unhealthy” conditions. NFB has been around since the 1960’s but so far it has not gained credit as a mainstream intervention. Some of the reasons why NFB is not mainstream can be caused by the facts that the equipment is expensive and the pharmaceutical industry is certainly not in favour of a methodology that makes pharmaceutical products less needed. However, a growing body of scientific research shows that neurofeedback can be effective in treating brain disorders. In fact, The American Academy of Pediatrics has determined that NFB is a level two evidenced based practice in the treatment of AD(H)D. Furthermore, neurofeedback also stabilizes the brain to reduce anxiety and depression, allowing for better, more lasting recovery from eating disorders and/or other addictions. It will not solve all the problems; but certainly, it can help stabilize your brain enough to help in the recovery work necessary for lasting change. Our brain, the controller of our body, is an intricate system of chemical and electrical activities with about 100 billion neurons. While there’s a lot of knowledge about how the brain works, there is still a lot to learn. However, what we do know is that the brain is designed to adapt to changes in the body and our environment and function well. Unfortunately, for a variety of reasons, e.g. genetics and environment, the brain gets out of order and does not function as well as it is supposed to. The brain then becomes, to a certain degree, “dysfunctional”. The dysfunctional brain tends to be over-stimulated when it is supposed to be calm and under-stimulated when it is supposed to be attentive. Normally, the brain corrects itself. However, when it doesn’t, this dysfunction becomes the normal condition. Therefore, people should be able to re-train their brain to function optimally, the way it was designed. That is the purpose and functioning of NFB. What happens in a NFB session? First, a thorough assessment of the mental “issues” will be done to determine the treatment needed. For the treatment, special sensors will be attached to one’s head. People are placed in a quiet space, in a comfortable, reclining chair. The sensors will feed your brain wave patterns into the attached neurofeedback equipment software. As the session starts, people will listen to music or watch a video. When the software discovers brain dysfunctions the software will stop the music/video. These interruptions are noticeable by occasional “skips” or interruptions in the playing of the music/video. These interruptions then are the signals that prompt the brain to “reset” and optimize itself. At the end of a session, people will most likely feel less stressed and more mentally clear. It is unlikely they will experience any negative after-effects. Because, a well-balanced and correctly used neurofeedback equipment doesn’t “push” the brain in any specific direction. Many users effectively experience deeper sleep and more vivid dreams after their very first session. Peter Blokland is the author of 'Total Respect Management' (Lannoo Campus, 2013) and 'Safety and Performance' (NOVA, 2017). In a former life he was a Belgian Air Force pilot, Staff Officer and aircraft accident investigator, finishing his military career at NATO’s Allied Command Operations at SHAPE (BE). In 2008 he became an organizational and business coach, helping organisations, companies and teams to improve and excel. Since September 2014, Peter is also employed at TUDelft, working as a PhD researcher for the Safety Sciences section of the Technology Policy and Management faculty. 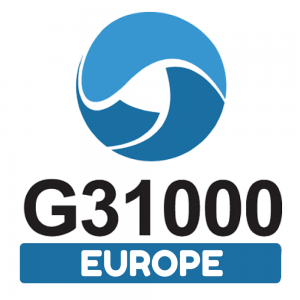 As the managing director of G31000 Europe he is now a trainer and consultant using the ISO 31000 Risk Management Standard. Receive insider tips, discounts, the latest news and more! © Copyright 2017 by BYAZ. All Rights Reserved.